If you've always dreamed about one day working with Stephen Hawking, now could be your chance. The famed astrophysicist is looking to hire a technical assistant to help develop and maintain the special electronic system that enables him to communicate, according to his personal website. Hawking suffers from amyotrophic lateral sclerosis, a debilitating neurodegenerative disorder that left the scientist severely disabled. In 1985, Hawking lost his real voice in a tracheotomy procedure, according to an Associated Press report. Now, the physicist uses a computerized speech system attached to his wheelchair to interpret the twitches of his face to produce a synthesized voice. On Dec. 22, a new job listing was posted to Hawking's website, seeking an assistant to help develop and maintain his electronic speech system. According to the website's description, the ideal candidate must work well under pressure, and must be knowledgeable about computers and electronics. The technical assistant will primarily help Hawking, one of the world's most prominent astrophysicists, continue to "function within the physics community and as a public speaker." In addition to helping the physicist speak, the computerized system can connect to the Internet, and universal infrared remote controls help Hawking open doors at his home or office, switch on lights, and watch television, reported the AP. According to Hawking's website, the technical assistant position will require some travel, and the candidate should expect to spend about three months of the year abroad. The job description also pegs the tentative starting date at around Feb. 20 to 27, 2012. The salary is listed at around 25,000 pounds ($38,500) a year. 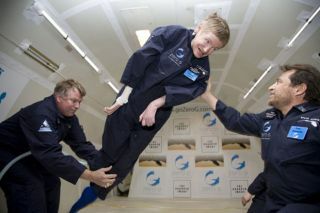 Additional information about the position can be found online at: http://www.hawking.org.uk/. Hawking is best known for his cosmological research, including quantum gravity and black holes. Hawking's most notable book, "A Brief History of Time," has sold more than 10 million copies.